Download PLDT & Me app and get a chance to win exciting prizes! This November, leading telecoms company PLDT will be celebrating its 85th anniversary of continuing vitality and dynamism of an organization that has played such an important role in the lives of Filipinos for so many years. Just like our mediums of communications today, PLDT has gone through several transformations and has been an integral part of homes, schools, and businesses for decades. It has been entrusted by generations of Filipinos to shape the landscape of their communication. PLDT has been an integral part of homes, schools, and businesses for decades. It has been entrusted by generations of Filipinos to shape the landscape of their communication. This is why PLDT has come up with ways to celebrate its anniversary with the public—because its milestones are also every Filipino’s milestones. As it celebrates its 85th anniversary, PLDT continues to come up with exciting activities for everyone. Just recently, the telecommunications corporation wrapped up its highly successful Then & Now promo, where some of the latest Samsung gadgets were awarded in a weekly draw for four consecutive weeks. 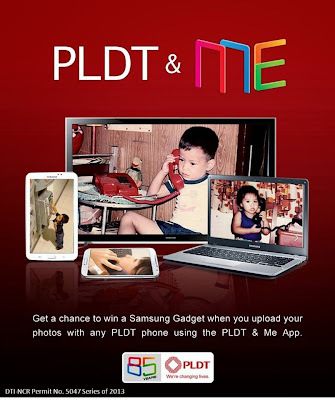 After the successful gadget giveaway Then & Now promo, PLDT now announces a new promo for its fans on Facebook to enjoy - PLDT & Me which encourages everyone to upload a photo of themselves, their relatives, or their friends using a PLDT telephone unit. The photo can be from as long ago as 1928, the year PLDT was founded, all the way up to present day. 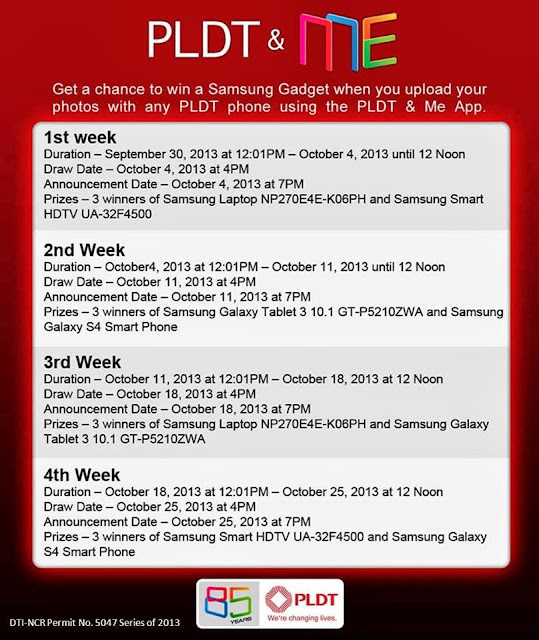 The promo runs from September 30 to October 25 and can be joined by downloading the PLDT & Me app from the PLDT Home, PLDT SME Nation, or PLDT Public Affairs page on Facebook, or by going straight to http://apps.facebook.com/PLDTandMe.